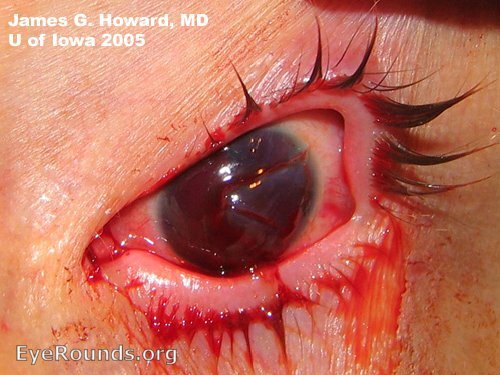 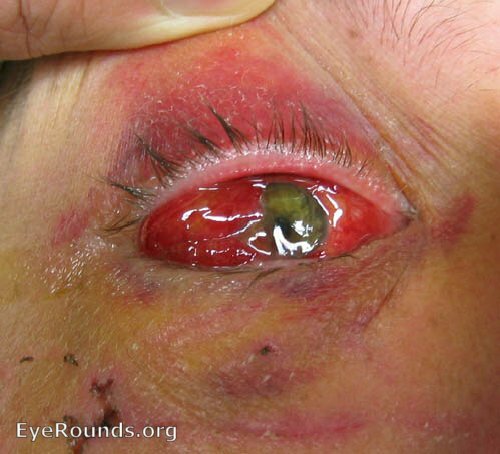 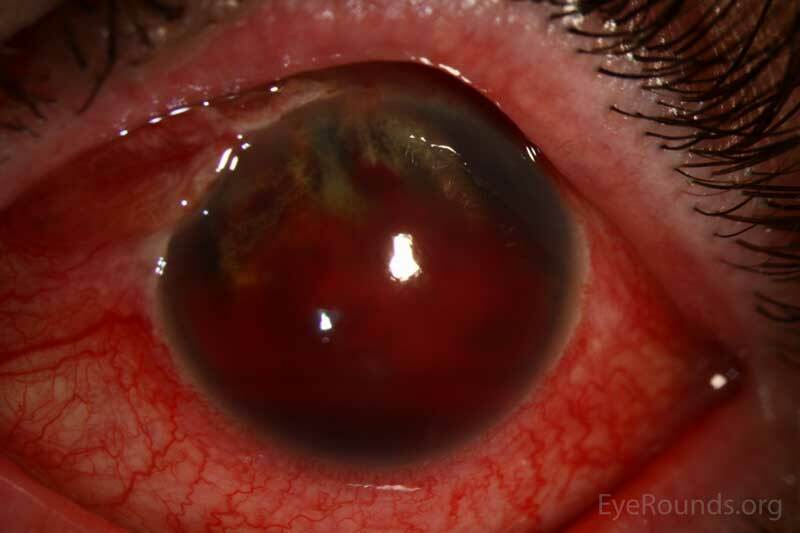 Open globe with corneal laceration due to bungee cord injury. 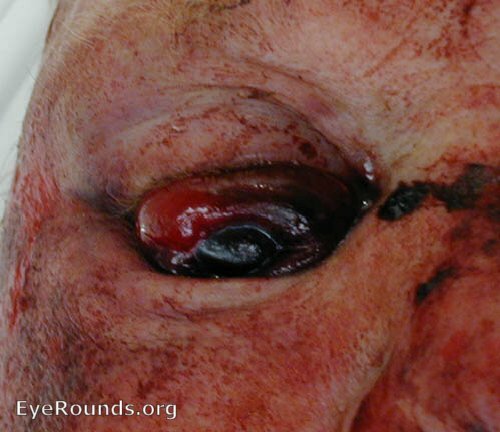 This 49-year-old male was slapped in the face and a finger went into his left eye rupturing his globe at the superonasal limbus with iris prolapse through the wound. 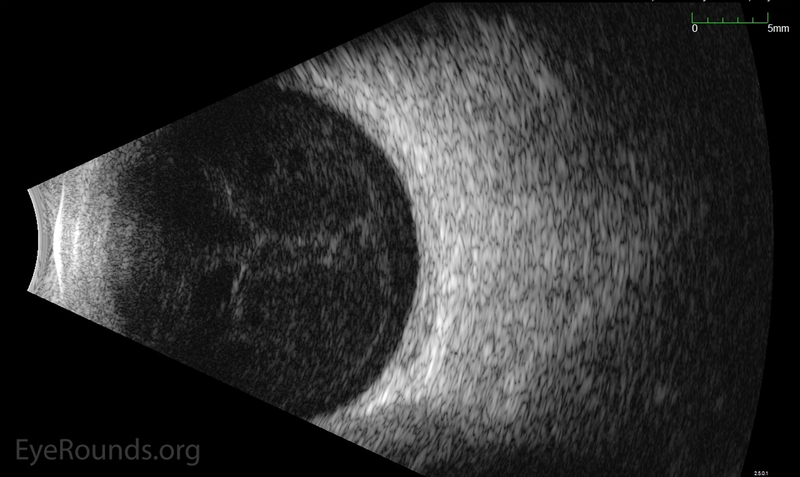 This slit-lamp photograph (top) demonstrates disruption of his anterior segment anatomy with iridodialysis and hyphema. The B-scan ultrasound (bottom) demonstrates a vitreous hemorrhage without a retinal detachment.